Henry James's short stories, all exploring ghosts and the uncanny. 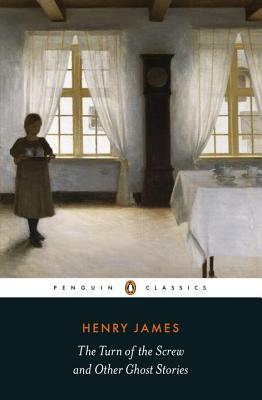 Henry James (1843–1916) was born in New York and died in London. In addition to many short stories, plays, and books of criticism, autobiography, and travel, he wrote some twenty novels, the first published being Roderick Hudson (1875). They include The Europeans, Washington Square, The Portrait of a Lady, The Bostonians, The Princess Casamassima, The Tragic Muse, The Spoils of Poynton, The Awkward Age, The Wings of the Dove, The Ambassadors, and The Golden Bowl. Susie Boyt (introduction and notes) is the author of four novels and a memoir, My Judy Garland Life. Philip Horne (editor) is a professor of English at University College London. He is an authority on 19th century literature, specifically Charles Dickens and Henry James. He has edited several editions of James’s work, including The Tragic Muse for Penguin Classics.